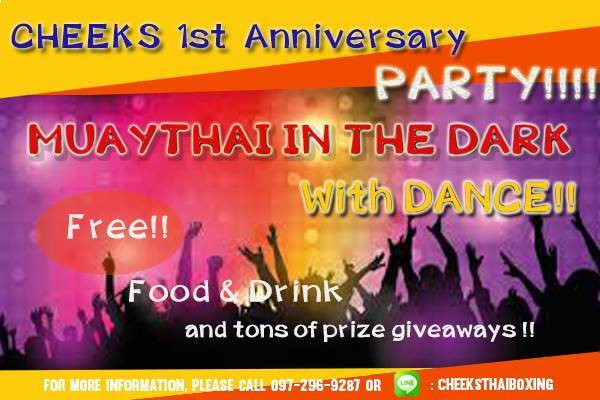 To thank our customers and express our gratitude for the warm welcome you have given us over the past year, we at Cheeks would like to invite old and new customers alike to come celebrate our 1st anniversary with “Boxing Party- Glow in the Dark” with us on Friday 1 July between 7.30 to 10.00 pm. Free!! Food and drinks all the way!! Plus chance to win awesome prizes!! Also, be sure to catch our super special promotions you don’t wanna miss available only at this party!! We hope to see ya, Cheekster ! !